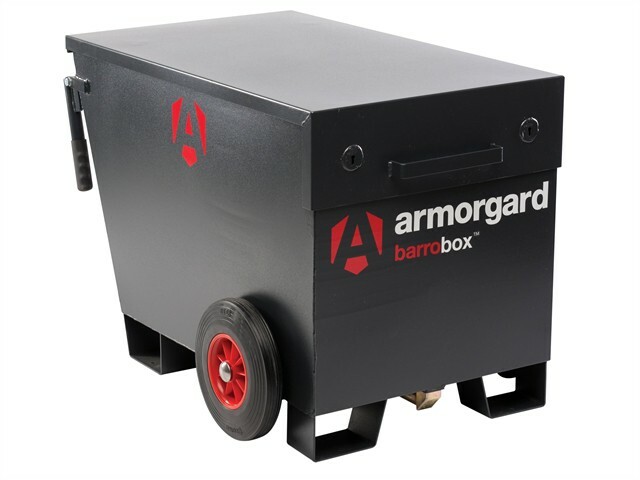 The Armogard Barrobox Mobile Site Security Box has been designed particularly for contractors working during fit-out stages of construction, the BARROBOX has the benefit of mobility, and features wind-up wheels. Keyed alike 5-lever deadlocks both sides with heavy-duty brass keys and welded security ID numbers. Strong gas struts on both sides of lid which conform to industry standards. Size: 750 x 1070 x 735mm.